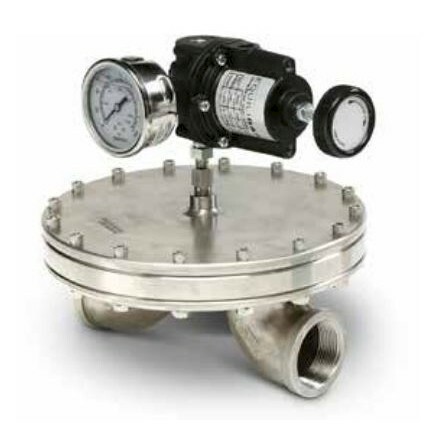 Equlibar's Industrial Service BD Series of back pressure regulator is for use with high flow applications. 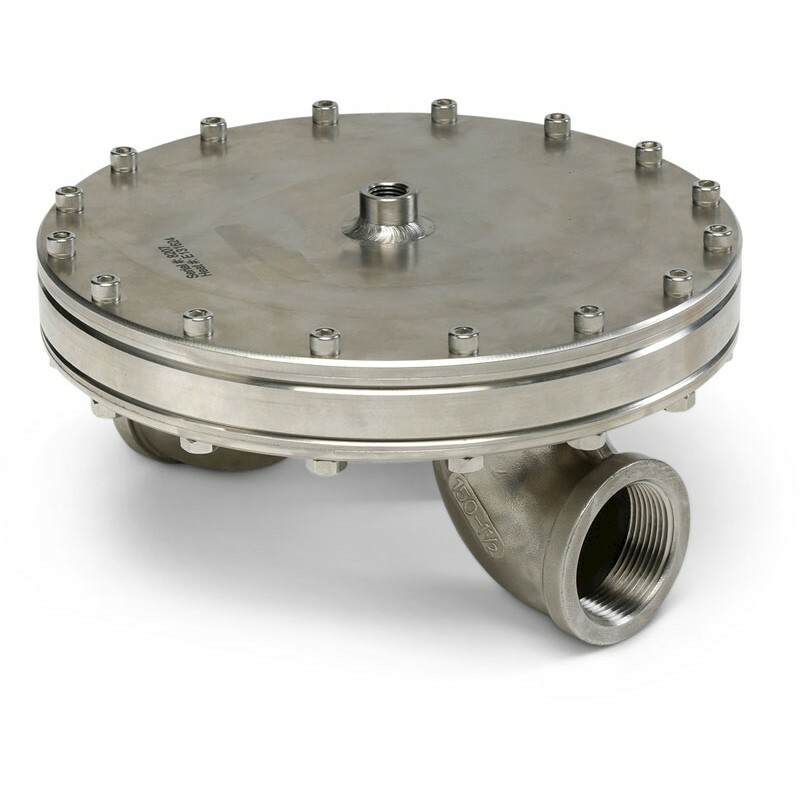 The BD uses external elbows welded to the bottom of the back pressure valve to save significant space compared with side-ported cylindrical designs. Stainless steel and other metals are welded to commercial pipe elbows, while PVC and CPVC are glued to commercial elbows. 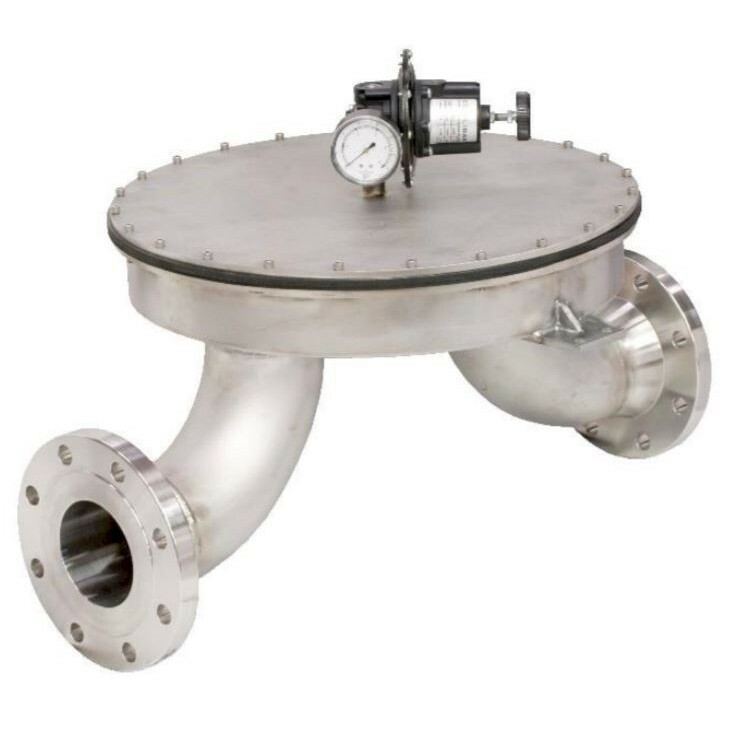 The BD is used for gases, liquids, and mixed phase applications. Various process connections including flange.